1. Construct a Firepit and place Red Adirondack Chairs around it. 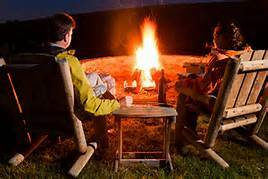 A firepit tells a story of marshmallows on sticks or a glass of wine with friends after a day at the office. Everyone wants a house to feel like a home and a firepit will take a vacant outdoor space and add warmth and friendship to it. 2. 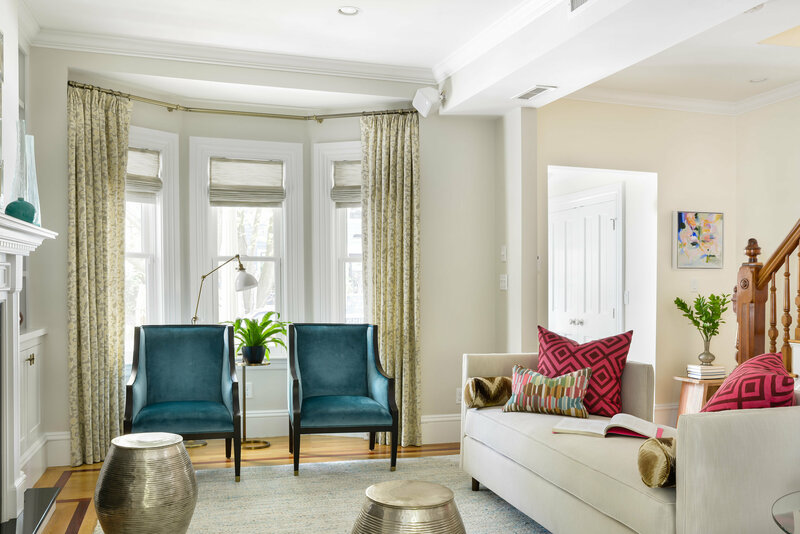 Rearrange your bookshelves; Seeking advise from Meghan Shadrick an exceptional designer & Stager of homes you can see from her examples below …. 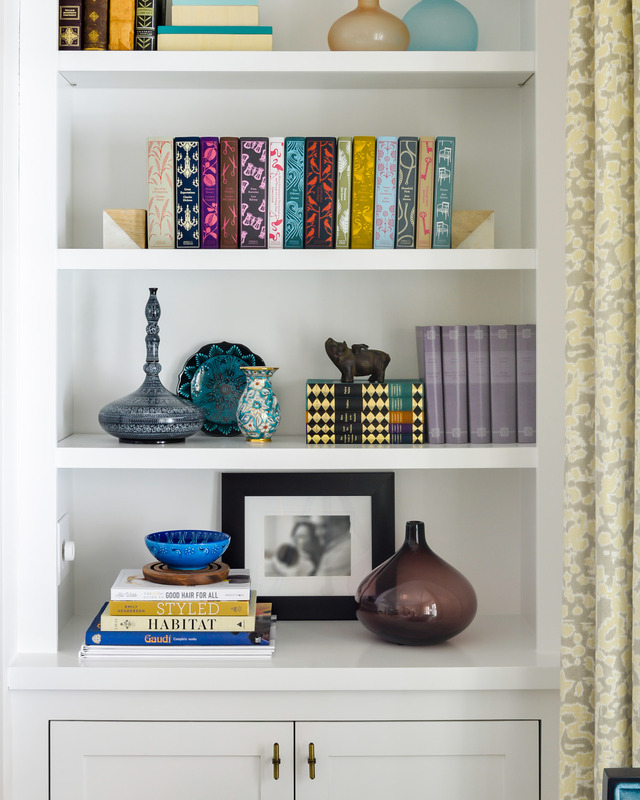 Add interest to your bookshelves by removing most of the clutter and featuring accent pieces. Then, color code your books by removing the book covers and allowing the arrangement of colors accent your shelves. 3. Paint the interior of your home. Paint is the cheapest way to update an interior. Most anyone can paint. Choose a neutral proven color like Benjamin Moore Griege or Accessible Beige which works w/ either Grays and / or beige tones. 4. PURGE… Now that we are starting a New Year it’s time to get rid of unwanted ‘stuff’. There are many charities that may benefit from your seldom used extra set of dishes or clothes that you’ll never fit into again. Cleaning out closets and cabinets will help you reorganize. Donations will make you feel good in the process! Need Help on WHERE to donate contact us at The WOW Team We have nonprofit organizations that will pick up and sell the items, using the profits for a wide number of worthy causes. 5. 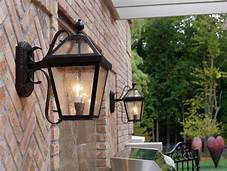 Enhance the front Entry; Change out sconces to reflect todays trend; Place a new Welcome Door Mat at the door. 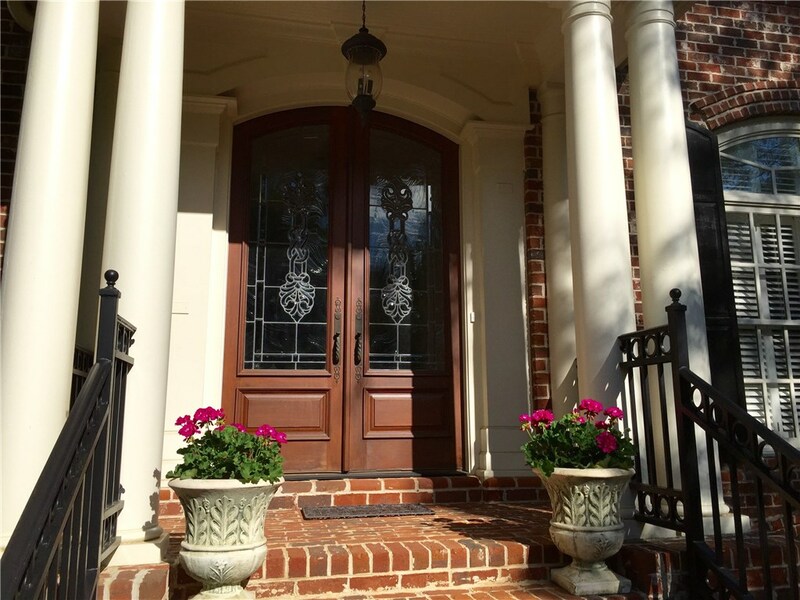 Add potted plants or topiaries on either side of the front door to give more interest and give more energy on the first impression. Be sure any and all wood rot areas around doors and windows are cured. Need more help on projects Click Here. For more Design advice click Meghan Shadrick designs (all interior photos compliments of Meghan Shadrick); Interior photos credited to Jessica Delaney Photography Visit our NEW WOW BLOG for lots more ideas in getting your home ready to Sell as well as Remodeling ideas… my Husbands award winning remodeling company (Weidmann Remodeling) is worth visiting as well for great ideas and Before and After photos! !